Along with previous Activision licensed efforts like every Transformers game and Deadpool, the two Marvel: Ultimate Alliance games have been delisted from Steam. This was spotted by user Nerdkiller of Resetera (via Rock Paper Shotgun), and comes two years after they found their way onto Valve's platform. 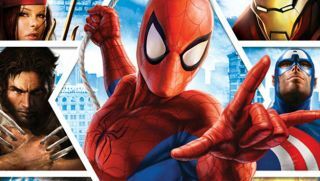 While James wasn't particularly impressed by the Ultimate Alliance games when they released with eyebrow-raising prices and other issues in 2016, they were patched in the weeks after release. That didn't stop both games from earning mixed reviews on Steam before they were pulled. You can still buy the double pack on Humble Bundle for full price, but considering each game was reduced to $10 this week on Steam before being delisted, that's probably only an option for people desperate to play above-average Marvel mash-ups from about a decade ago. If you're after a decent Marvel game on PC, the options are pretty slim. Your best bet is probably Ultimate Marvel Vs Capcom 3, which even non-fighting game players will appreciate on a fan service level. Otherwise, you've got a slew of Lego games, the best of which is probably Lego Marvel Super Heroes, or you can wait until Square Enix finally starts talking about Crystal Dynamics' Avengers game and what's rumoured to be a Guardians of the Galaxy game from Deus Ex creators Eidos Montreal.